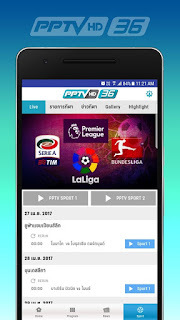 Download PPTVHD36 for new digital TV experience. * Watch PPTV HD Channel 36 anywhere, anytime. * News update and breaking news. * New digital TV experience with "PPTVHD36" second screen. * Collect reward points to win many rewards. * Never miss your favorite programs with reminder.